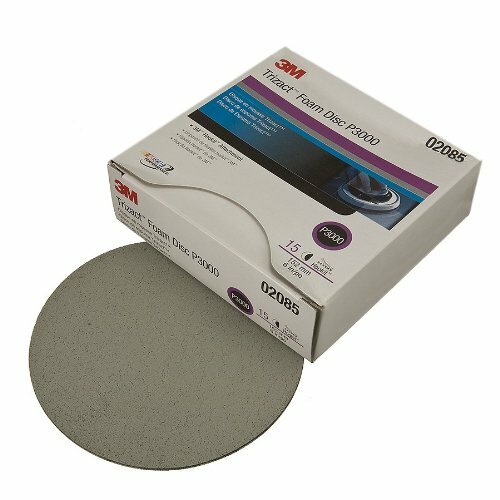 Foam disc used in a spot repair system for removing P1200-P1500 grade sand scratches prior to using 3M Perfect-It 3000 Panel Repair System. When working on contour surface, use interface pad Part Number 05777. Suggested back up pad PN05551 with soft interface pad PN05777. Can be used with 3M Random Oribtal Sanders.